If you’d like to increase the amount of money which you’re able to save on a yearly basis, simply continue reading to discover 5 effective money saving tips. Whether you’re shopping around for a new flat television, a flash new smartphone or your weekly groceries, it’s well worth purchasing generic branded items, instead of more popular branded items. As 90% of the time, expensive branded items are the same quality as generic branded items and customers who choose to purchase well-known brands are simply paying for the brand names, which they purchase, not for a better quality product! If you’re unsure of whether a generic branded product is a good purchase, it’s well worth looking for online reviews, which should give you an indication of whether or not a generic branded product is worth purchasing. Whilst being able to use credit cards and debit cards can be extremely convenient, it’s definitely far easier to overspend and to blow out your budget by using credit cards and debit cards. So if you want to ensure that you stick to your weekly budget, it’s well worth leaving your debit cards and credit cards at home and getting out a week’s worth of cash. As you can then place a portion of the cash which you’ve taken out, in your wallet each day. Which will ensure that you’ll stop overspending. If you’re looking for a fast effective way to increase your savings, it’s definitely worth getting into the habit of leaving your credit cards or debit cards at home. If you start collecting coupons, you should be able to save at least 20% off the total cost of your weekly grocery shop. Which should allow you to save hundreds of dollars per year. You don’t have to spend money to go out to dinner or watch a movie in order to have a fun time. So if you’re looking to save money it’s definitely worth searching for free activities and attractions in your area. As examples, you may find that your local community center offers free outdoor movies in the summertime or that you can rent free DVDs from your library. It’s well worth saving your loose change in a large jar or a piggy bank as if you take your loose change out of your wallet and car, you’ll be less likely to spend it on small items which you don’t need such as snacks. If you bank your loose change every few months you should be able to increase your savings by several hundred dollars per year! 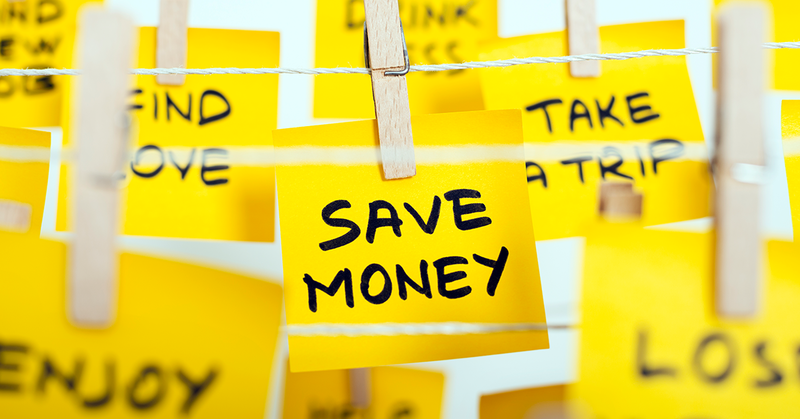 So whether you’re looking to save money for a house deposit, to pay for your children’s college education or for a fun-filled family vacation, it’s definitely well worth following the invaluable money-saving tips listed above.